Great job Todd (@ToddShriver) and Lisa (@gabbyg89)!!! Hi Everybody! We are long overdue for a new Top 40 Countdown. I am so excited for the NEW STAR WARS MOVIE, The Force Awakens, which will be released in a few weeks. New freakin’ Star Wars! As we count down the days of the release, I figure we can count down the top 40 hits from the week that the last Star Wars movie, of the original trilogy, was released. Return of the Jedi was released on May 25, 1983. This is going to be an incredible week of music. I snuck a peek at the list of songs, and I will go out on a limb and say that this may be the best Top 40 we’ve covered so far! So let’s get to it, and Return to the week ending May 28, 1983, and begin the countdown! And as with most of the music posts, you can click on the song title to listen to the song/watch the video. This song totally brings me back to the early ’80s. It was in heavy rotation in the early days of MTV when we first got cable TV in “our house” (on the corner – not in the middle of our street). 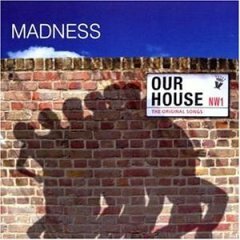 This was the lead single off of Madness’ fourth studio album, The Rise & Fall. It would be their biggest hit in the U.S., reaching up to #7. The Queen of Rock is back in the countdown once again, with a little known hit. This song is off of Benatar’s Get Nervous album, which also had the hits “Shadows of the Night” and “Little Too Late“. “Looking for a Stranger” is a fun little rock song, which would fit in well for Robert’s new “Obscure hits” series if he covers Pat Benatar. She has a lot of hits that get a lot of airplay, but this is one does not get as much attention. Not too many people were as big a star as Kenny Rogers in the late ’70s/early ’80s. This is another obscure hit that I love. My parents owned the We’ve Got Tonight album, which this song came off of. If I was in the mood for a good ballad, I would throw this album on the record player. 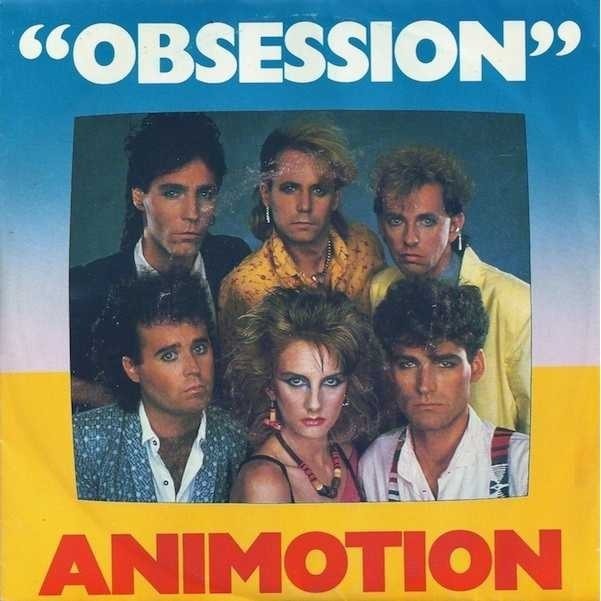 This is another classic ’80s song that got heavy airplay in the early days of MTV. At the time it was released, I didn’t care for the song too much. But, since it was on MTV, my eyes were glued to the TV watching this video anyway. I do appreciate it a little more now. This song was also my introduction to The Kinks. Before I started doing these countdowns, the only Christopher Cross songs I knew were all the songs from his legendary debut album as well as “Arthur’s Theme (Best That You Can Do)“. But, he did have quite a few other hit songs, although I don’t believe many of them hit the top 10. This is a very good song I had not heard before. The very beginning reminds me of something that would be on a mid-’80s Sylvester Stallone movie soundtrack, until Cross starts singing. Then it is classic Christopher Cross (which is a good thing). The only song I thought I knew by DeBarge was “Rhythm of the Night” and El Debarge’s “Who’s Johnny“. But, I remembered this song as soon as it started. 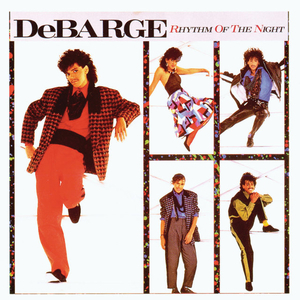 I didn’t know it was DeBarge. This is an outstanding R&B ballad. This was the biggest U.S. hit by British singer/songwriter Jim Capaldi, topping out at #28. That sounds about right. This song is ok. It’s not horrible, but not great either. Steve Winwood keyboards kick in in the second half of the song, which is cool. But, if I want to hear that, I may as well throw on some Steve Winwood. 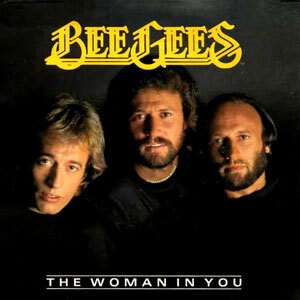 I love the Bee Gees! This is a pretty good upbeat song. In the ’80s, the Bee Gees did not perform too many songs. They mainly wrote hits for other singers. But, they did record this song for the movie Staying Alive, the sequel to Saturday Night Fever. Staying Alive was one of those movies where the soundtrack was way better than the movie itself. I enjoy a lot of songs by The Little River Band. This is a good one from the John Farnham years as lead singer. This song was from their seventh studio album, The Net. It topped out at #22 in the U.S. If you want to hear an outstanding John Farham solo tune, check out “You’re the Voice“. This huge iconic Styx hit was the beginning of the end of the band’s initial run. Styx was changing musical direction, which caused a divide in the band. I still really enjoy this song to this day. And it’s a great place to finish today’s list of songs. Well, that wraps it up for today. Are you liking this so far? It’s just going to keep on getting better. Is anybody else looking forward to The Force Awakens? I’m one of the rare original Star Wars fans that never hopped on the prequel-hate bandwagon. I love the prequels! But, they tell a different story and have a different style. I have a feeling that JJ Abrams is going to capture the same spirit as the original. And it doesn’t hurt that the main characters, that we grew up with, are returning. So, let’s talk Star Wars and music. And we’ll be back to continue the countdown tomorrow. Welcome back to this week’s Top 40! If you missed the first 10 songs, you can go ahead and check them out. Today we have a good mix of classic ’80s music and songs that are rarely, if ever, heard today on the ’80s stations. Let’s jump right into it now, Return to the week ending June 18, 1983, and continue the countdown. We’ll begin today with some synth-pop New Wave music. I was not a fan back in the day. I do like A Flock of Seagulls more now. This isn’t one of their better songs, but it’s ok. I wouldn’t go out of my way to listen to it. But, if I heard it come on the radio, I would enjoy my trip back to the ’80s. 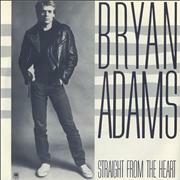 This was the lead single from Bryan Adams’ third studio album, Cuts Like a Knife. It was his big breakthrough song in the U.S. I have always loved this song. It is so great, and it takes me back. Bryan wrote this song in the late ’70s. Before he released it himself, it was covered by several people including Ian Lloyd and Rosetta Stone. And one month before Adams released it, Bonnie Tyler released it, and was featured on her album Faster Than the Speed of Night. This is a pretty generic soft rock tune. However, one thing that stands out with this song is that Steve and Nicole Winwood performed the backing vocals, and Steve also played all the synthesizers, including the solo. I love me some classic Rod Stewart! I can’t stand that big band crap he’s been doing for the past couple of decades. Geez, has it been that long since he’s done anything good? Man, time flies! This was Stewart’s final #1 hit in the UK. That kind of surprises me because he had some great songs throughout the ’80s, and into the early ’90s. Wow, Prince two days in a row! I’m glad I was able to find the videos. This is one of my favorites by him, and I still love it today. I had never heard of this song before. I would have never listened to it back in the ’80s anyway. But, I really like it now. This is a nice R&B slow jam. did get together to record five songs for Staying Alive, the sequel to Saturday Night Fever. Their music was about as successful as the movie. I actually didn’t even know they recorded songs for that soundtrack. I was guessing that “Stayin’ Alive” was on there (it was). Other than that, all I knew was “Far From Over” by Frank Stallone. Here is another R&B ballad. I like this one more than the DeBarge song. Before I started doing these countdowns, I never even heard of Champaign. After their 1991 album Champaign IV, they did not release another album until 2008. Since then, they’ve released 4 albums, with the most recent being last year – Eyes of the Spirit (2014). The Little River Band was big in the late ’70s. 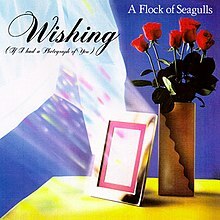 This was one of the band’s last singles to reach the top 40. This was a transitional time for the band. This is from their seventh studio album, The Net. This album featured a new lead vocalist and new guitarist. This song isn’t too bad. It’s kind of middle-of-the-road. It’s not bad at all, but nothing really stands out either. This is the signature hit for Madness in the U.S. This one really brings me back to the early days of MTV. Well that wraps up today’s list of songs. I hope you’re enjoying this so far. Tomorrow, we’ll be back to continue the countdown, which will feature another Long Distance Dedication. Welcome to the Return of the Top 40!!! And what a week to jump back into this! These were the biggest hits in the U.S. 30 years ago this week. There are going to be some true classics this week. Remember, you can click on the song title to see the video. This is going to be exciting, so let’s get to it, and Return to the week ending March 9, 1985, and begin the countdown. 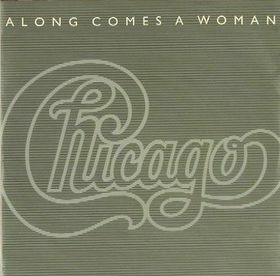 What better way to Return to the countdown than to begin with one of my favorite Chicago songs. Not only is this a fun, upbeat song, but the video is totally awesome! The first half is Indiana Jones-like, and the second half was influenced by Casablanca. Boy, summer does sound good about now! 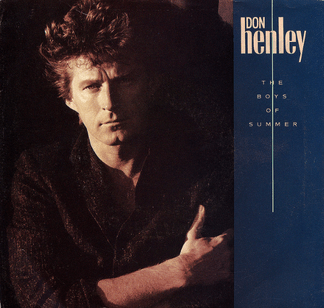 This classic Don Henley song went on to win the Grammy Award for Best Male Rock Vocal Performance. The video won the Video of the Year at the 1985 MTV Video Music Awards, and also won that year’s awards for Best Direction, Best Art Direction, and Best Cinematography. It’s always great to hear Jeffrey Osborne, who is from my home state of Rhode Island. This song is off of his 3rd album, Don’t Stop. I had never heard this song before. It is more uptempo than most of his other songs that have been released. I’m liking this one! 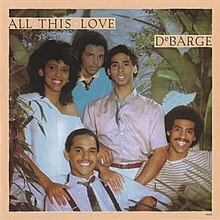 This is a very fun dance song by the family DeBarge. This song was written by legendary songwriter Diane Warren. This song reached all the way up to #3 on the Hot 100 charts, making it the biggest hit by DeBarge. 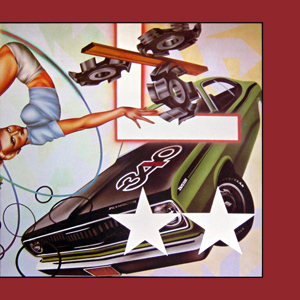 This was the fifth and final single released from the classic album, Heartbeat City. This is another song that I was unfamiliar with. This ballad isn’t too bad. Not one of my favorites by them, but not too bad. This collaboration between David Bowie and the jazz fusion band the Pat Metheny Group, was recorded for the soundtrack to the film The Falcon and the Snowman – a movie I never heard of, which starred Timothy Hutton and Sean Penn. This has that classic David Bowie new wavey sound to it. This is a nice song, written, composed, and produced by Lionel Richie as a tribute to Marvin Gaye, who had died earlier in the year. This is one of those songs that I remembered as soon as I heard it. This song was Diana Ross’ last major hit on the US pop singles chart, hitting the Top 10 in the spring of 1985. Well, I’m getting better at digging up these Prince videos! If you are new to these countdowns, Prince usually makes an appearance. However, he is about the only artist that does not allow their music on YouTube, or just about anywhere else on the internet, for that matter. So I normally substitute it with another song. 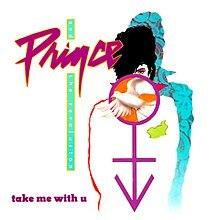 The is the second Prince song in a row I was able to find. 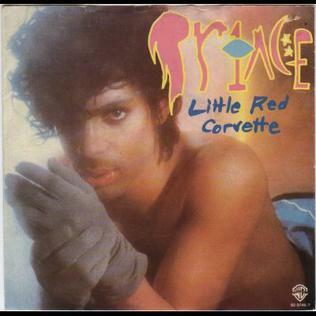 This song was the final single to be released from the Purple Rain soundtrack. This awesome song is about as ’80s as you can get! I think I remember this synth-pop classic as the opening theme to one of the WWF shows. Hulk Hogan always comes to mind when this song comes on. Turn it up!! Now, we’re in my wheelhouse! 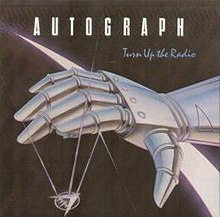 This was the lead single released from Autograph’s debut album, Sign in Please. It would be their only Top 40 hit, reaching No. 29 in the Billboard 100. In 1985, Guitar Player magazine awarded Steve Lynch “Guitar Solo of the Year” for this song. Well, that wraps up the countdown for today. It will continue tomorrow. Did you like these first 10 songs so far? Even though I was 14 at the time of this countdown, I only remembered about half of these songs. I would have thought it would have been more. Did you discover any new music here? Give me your thoughts on the countdown, and what you were doing at this time in 1985. Great job Marissa (@MarissaRapier), Christa (@buttercup081474), and Kids Inc. Daily (@kidsincdaily)! !